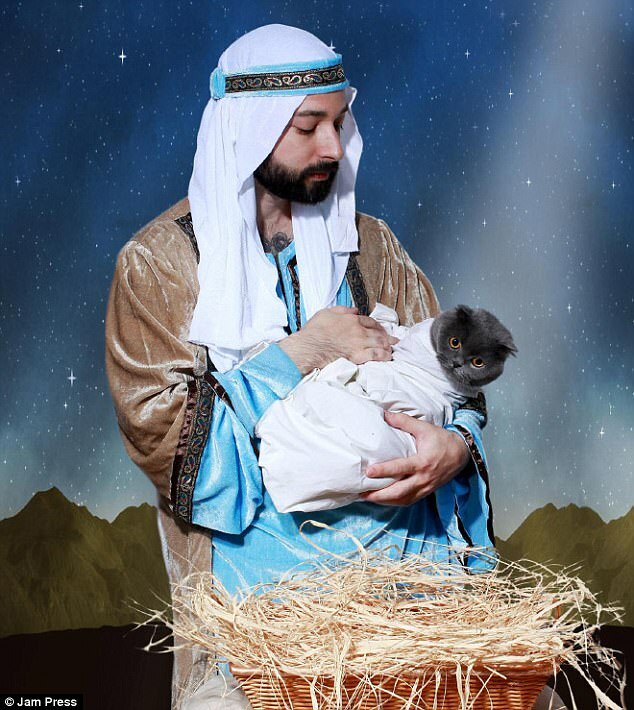 Web News System: BIZARRE festive portraits show people posing alongside their pets - as other hilarious holiday snaps capture furious animals that have been dressed up in hideous Christmas costumes . 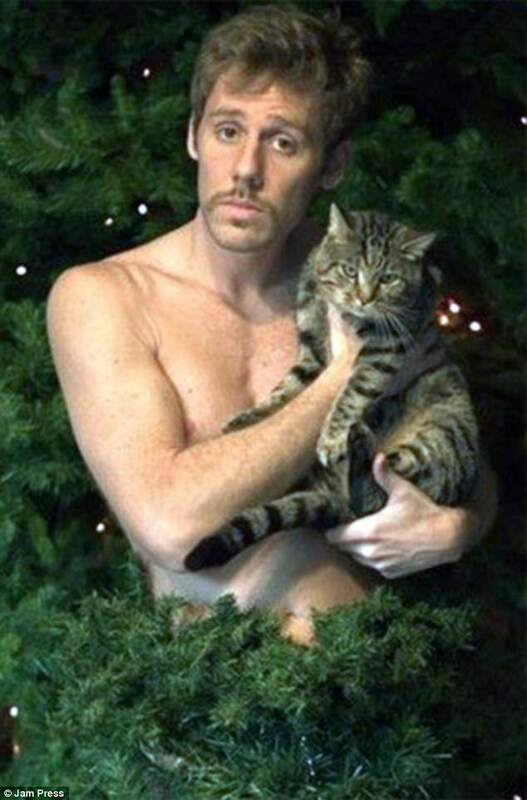 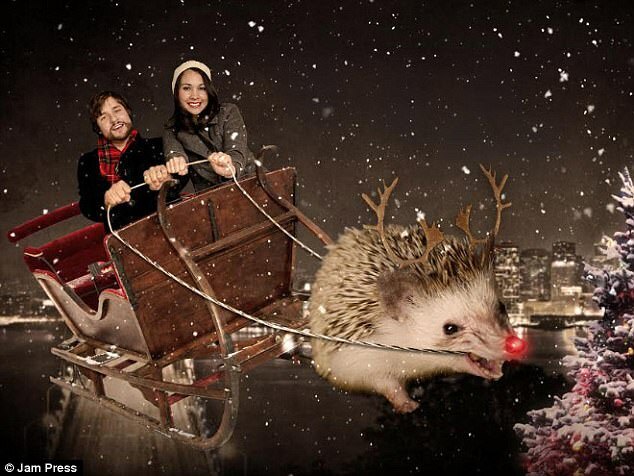 BIZARRE festive portraits show people posing alongside their pets - as other hilarious holiday snaps capture furious animals that have been dressed up in hideous Christmas costumes . 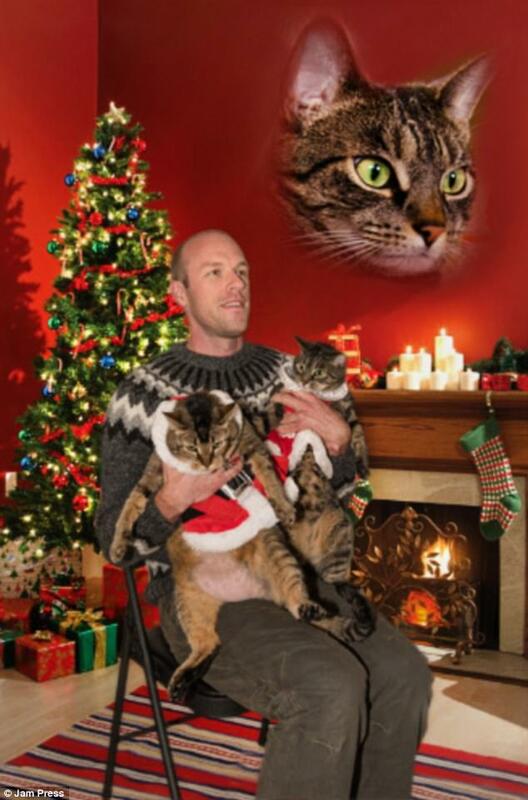 Just in time for the holidays, some pet owners shared the most festive photos of their pets dressed up in adorable Christmas costumes, while others decided to dress up themselves and pose with their pets for festive portraits. 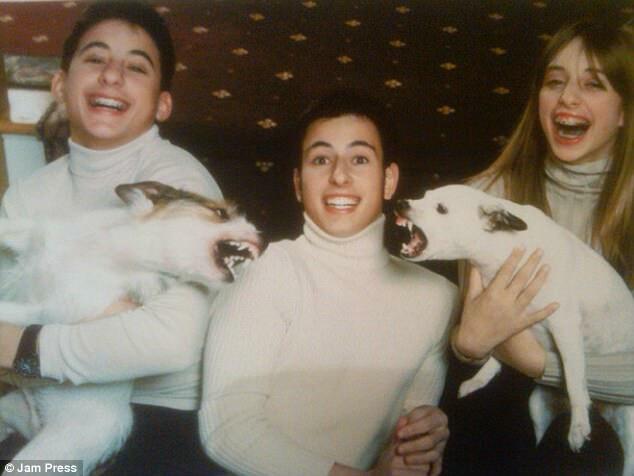 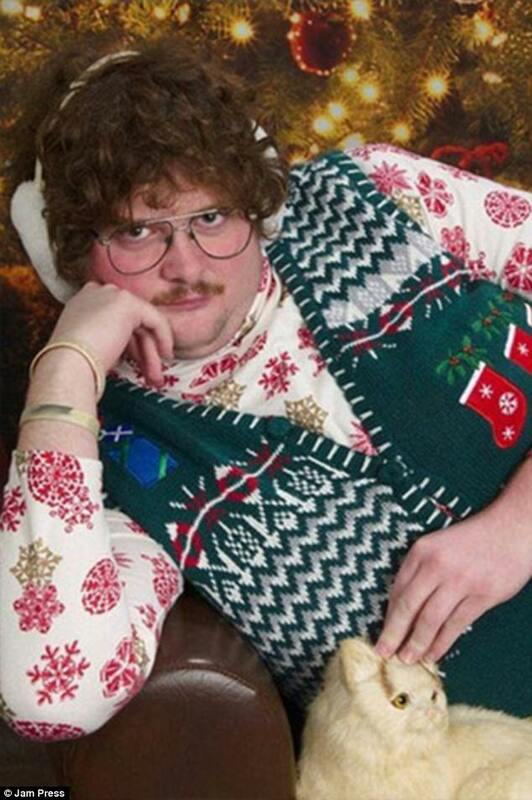 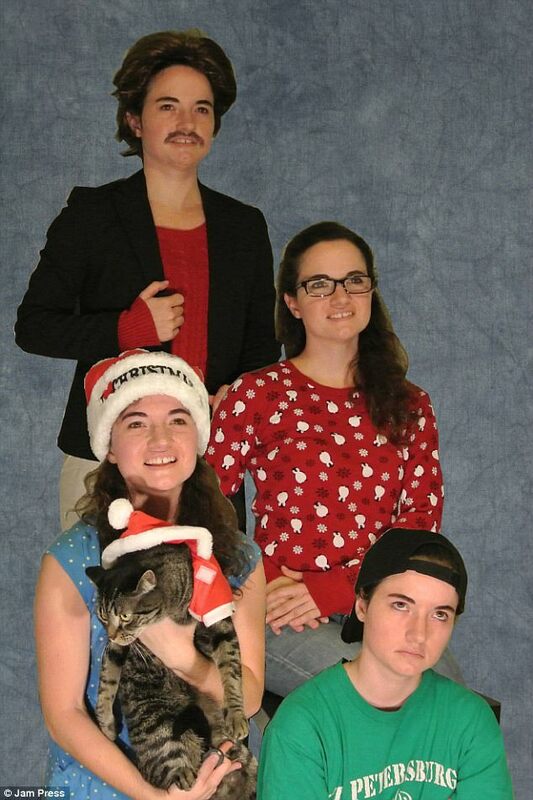 Some pet owners just couldn't bear taking solo shots of their animals, so they decided to take festive family portraits, making sure everyone was included. 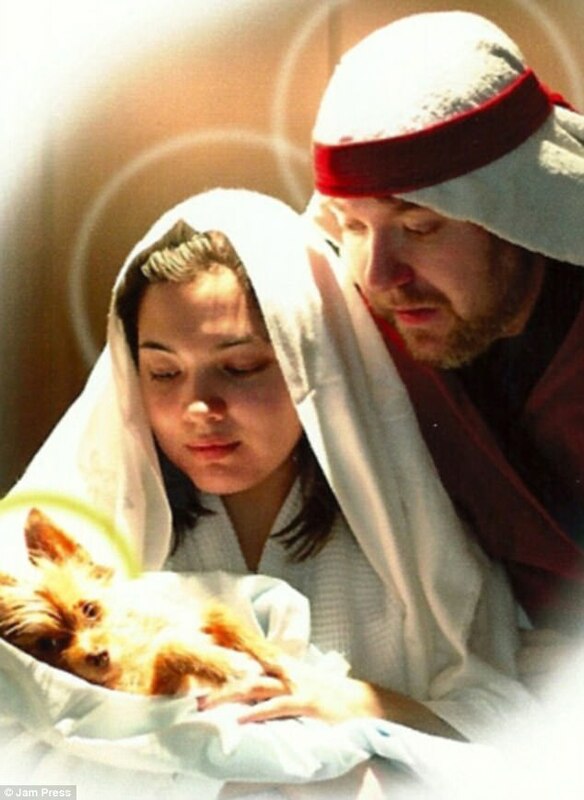 One couple dressed as Mary and Joseph and wrapped their Yorkshire Terrier in swaddling cloth to resemble baby Jesus. 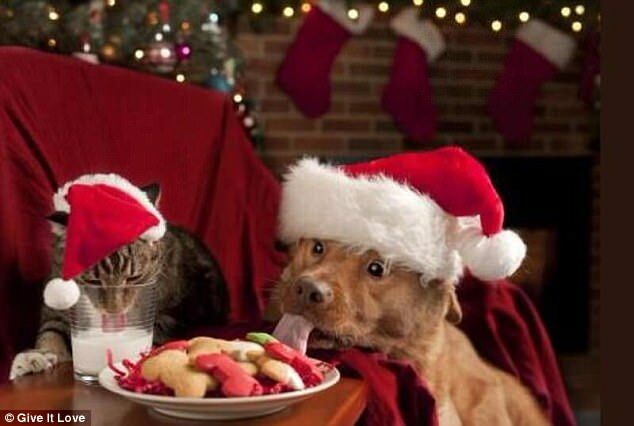 Humans aren't the only ones that get into the Christmas spirit, animals do too and some of them just proved it in these hilarious outfits. 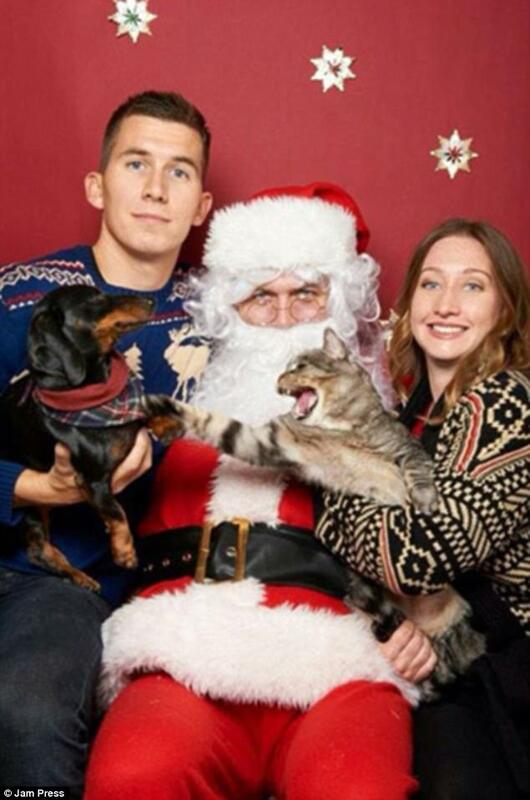 While some animals were decked out and ready for their photo opp, others were not so happy with their ensembles. 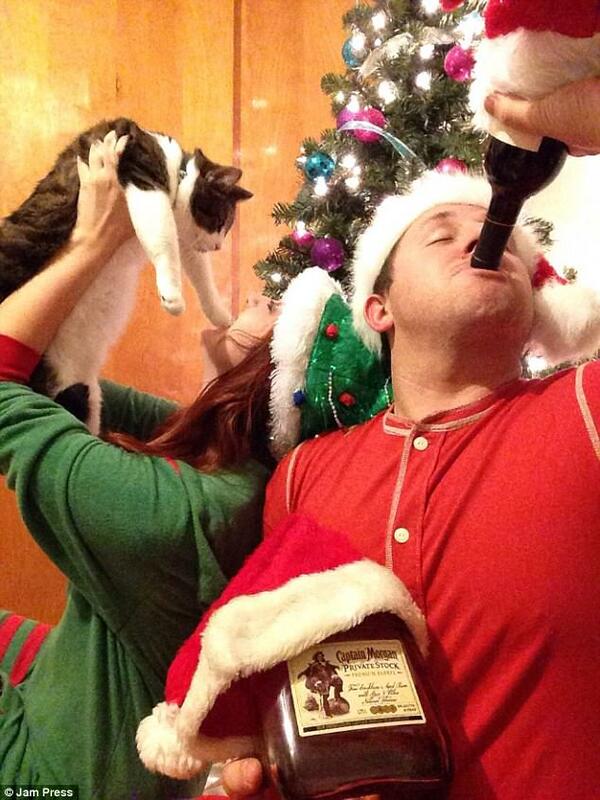 Some kittens were dressed in full Santa suit onesies while others were dressed as Christmas trees. 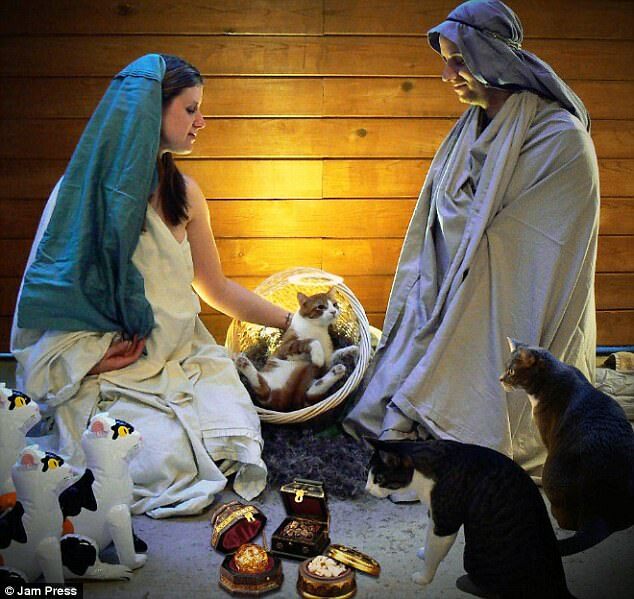 A cat is even pictured lying in a manger from the Nativity, while the baby Jesus doll is kicked out and on the floor. 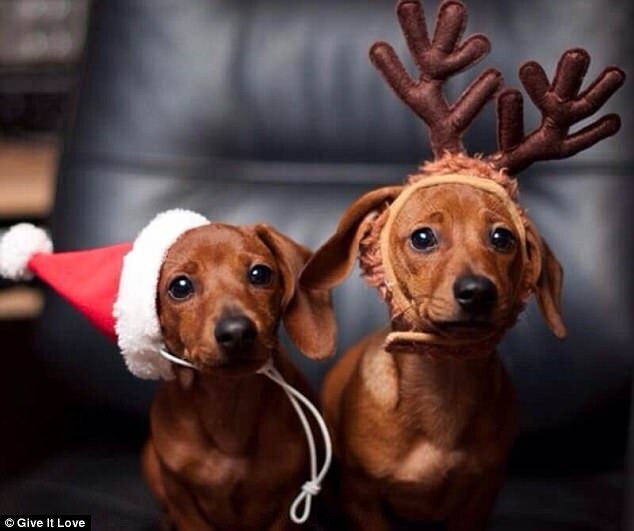 The dogs were just as festive and full of cheer while some dressed up as Mr. Claus and others as his reindeer. 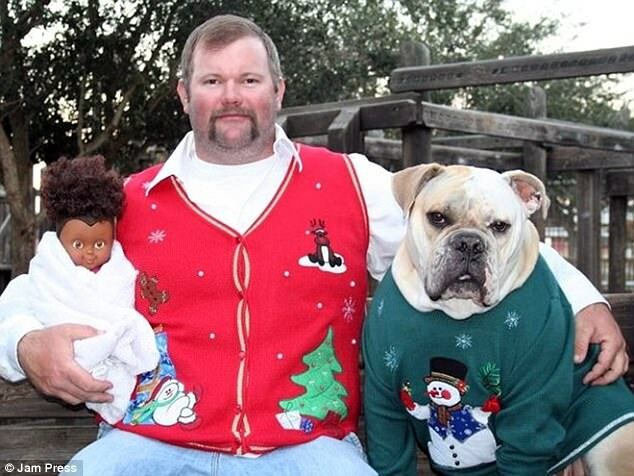 One owner dressed up their dog as Santa Claus and made it so realistic by adding a wig, a beard, a hat, and even St. Nick's round eyeglasses. 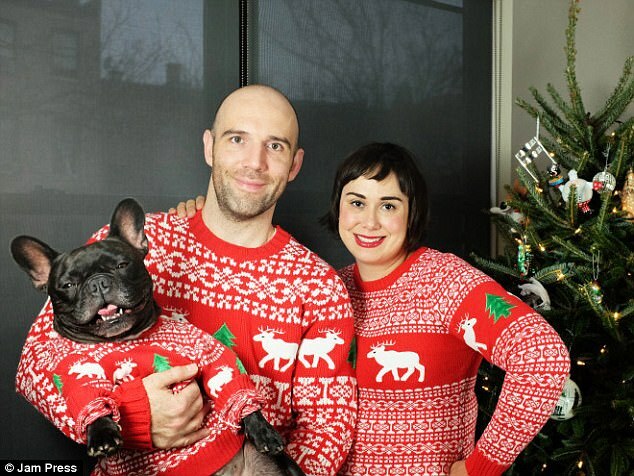 Give it Love and FEMAIL reveal the cutest and most outrageous photos of festive pets and their owners, that got all dolled up for the holidays. 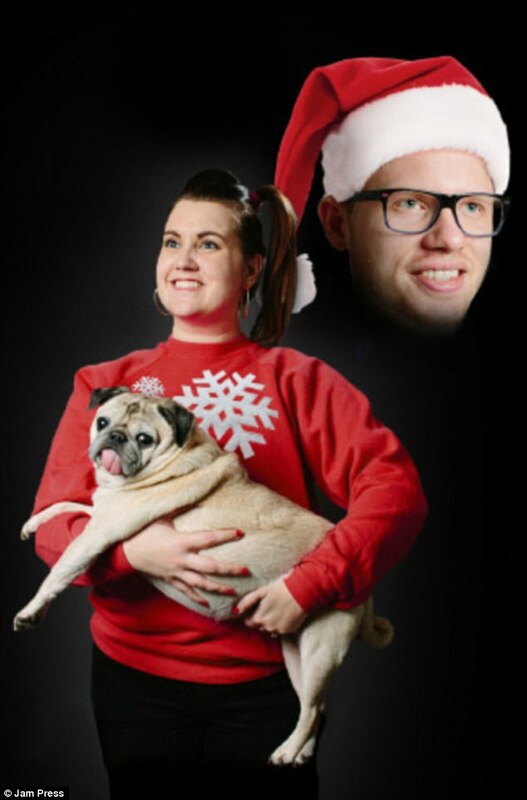 They're equally amazing and bizarre, but are sure to bring you some holiday cheer. 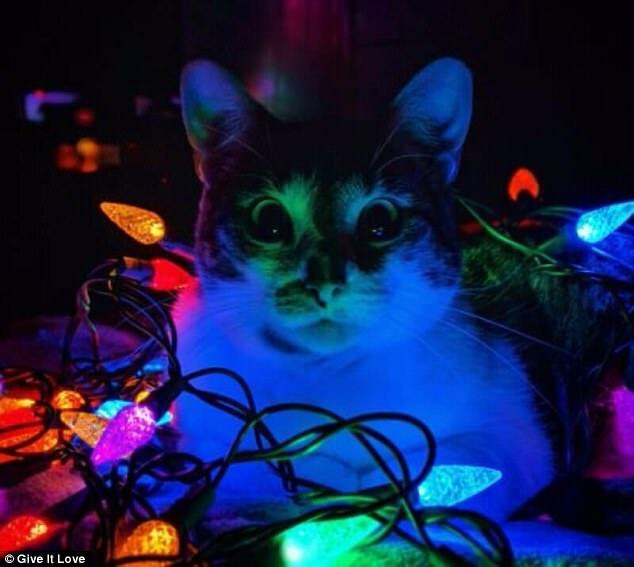 Lit: Could this kitten look anymore frightened by these rainbow Christmas lights wrapped around it?